Kesha is an eclectic artist, who is also known as the Pop Princess. She has been consistent with her hits on the Billboard charts and her lead single, “Tik Tok” released in 2010 was a hit single that sold 14 million copies worldwide. Kesha was born on March 1, 1987 in Los Angeles, California. Her mother Pebe Serbert is a singer/songwriter herself and has co-written songs for Pitbull, Dolly Patron and Kesha. Kesha’s mother raised her and her brothers through a lot of financial struggles. Their financial situation changed when Pebe moved to Nashville for her song writing career. As a child, Kesha accompanied her mother to the recording studios where she began to develop her musical sensibility and also took song writing classes while was at school. Kesha’s recording demos reached the doorstep of Dr. Luke and Max Martin, who convinced her to drop out of school. Later, Dr. Luke, for his label, Kemosabe Records signed Kesha after watching her demos. She moved to LA to work in the music scene and started recording backup for Britney Spears, wrote lyrics for The Veronicas and appeared in KT Perry’s “I kissed a girl”. Kesha has also snuck into the house of the legendary Prince to leave her a demo, by paying the gardener $5 for entering the premises. 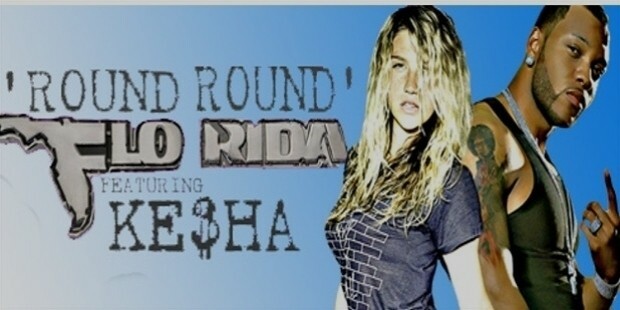 Kesha also provided the vocals for Flo Rida’s “Right Round” for which she was unpaid, but gained media attention. She was determined to make it big, and after many attempts, finally landed a deal with the RCA Records. In 2010, Kesha debuted with Animal, which topped the billboard 200. Her first single Tik Tok from the same album topped the Billboard charts for 9 weeks and she also had three more hits from the same album. 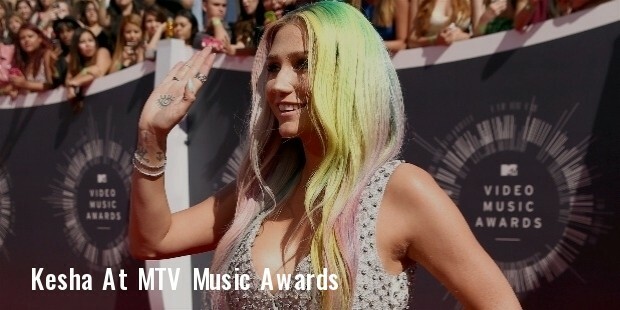 Regardless of the noisy critics, Kesha’s career was skyrocketing and she won “The Best New Act” at the MTV Music awards. Later, she co-wrote a song with Britney Spears and also worked with Taio Cruz. Kesha re-released “Animal” with an EP Cannibal and by the end of 2010; she was named the hottest artist of 2010 by Billboard. Her second single “Blow” made it to number 7 on the Top 100 music charts and she began her music tour “Get Sleazy” in 2011. Kesha’s next single, “Die Young” peaked up to number 2 on the Billboard 100. Kesha is known for being blatantly honest and for her unique style. In 2014, she sued producer Dr. Luke for sexual assault, emotional abuse and violation of the California business practices. Kesha is known to be a vegetarian. She is open about her bisexuality and has performed ceremonies for gay couples. 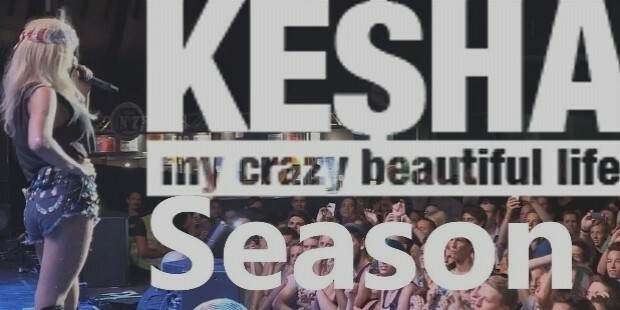 In 2012, Kesha released her biography titled “My crazy beautiful life”.